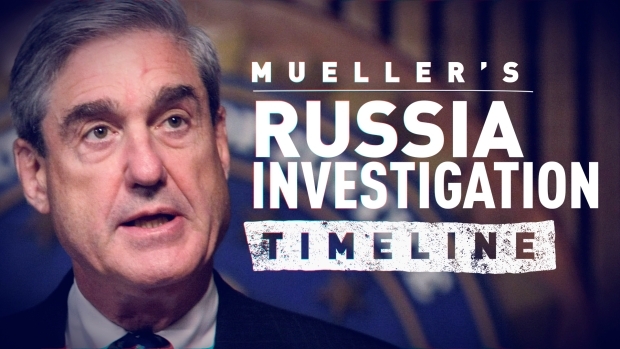 What happens now that the investigation is over? Justice Department regulations required only that Mueller give the attorney general a confidential report that explains the decisions to pursue or decline prosecutions. That could be as simple as a bullet point list or as fulsome as a report running hundreds of pages. Attorney General William Barr said he envisions two reports, and only one for congressional and public consumption, which he will write. 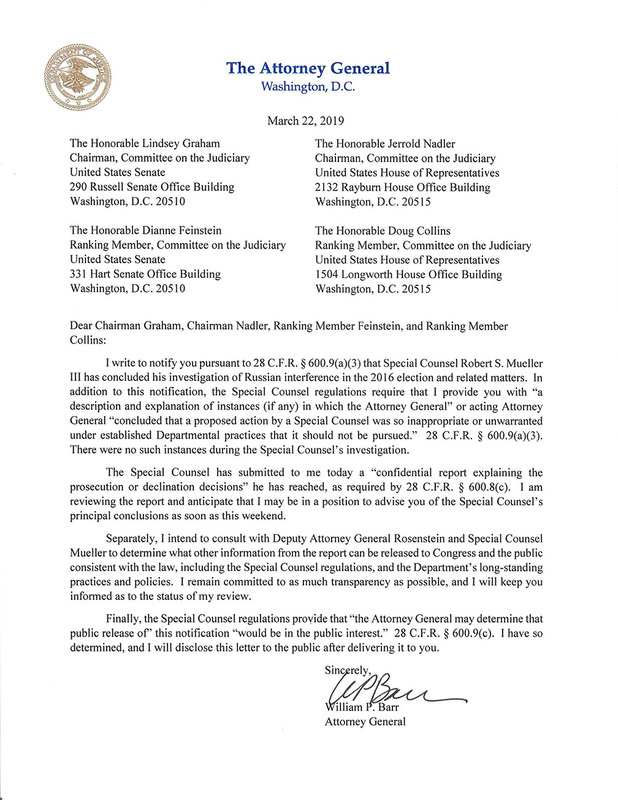 Barr has said he will draft his report for the chairman and ranking members of the House and Senate Judiciary committees. But here again, the regulations provide little guidance for what such a report would say. The attorney general is required only to say the investigation has concluded and describe or explain any times when he or Deputy Attorney General Rod Rosenstein decided an action Mueller proposed "was so inappropriate or unwarranted" that it should not be pursued. In a letter Barr sent Friday to the four lawmakers he said there were "no such instances." He also said he may be in a position to advise them of Mueller's "principal conclusions as soon as this weekend." Barr said he would determine what other information from the report can be released to Congress and the public after speaking with Mueller and Rosenstein. "We could subpoena the final report. We could subpoena Mueller and ask him in front of the committee what was in your final report. Those are things we could do," Nadler told ABC's "This Week" in October.